Real point of the First cover letter is to demonstrate that Michael understands the needs of today's business, and that he would make a good person to refer or help network. The key point of the Second Cover Letter is opening reference to a former meeting builds instant bridge with reader. Asking for advice will almost always receive a positive response. How is everything? I appreciate your offer to introduce me to some people as I begin exploring other career opportunities. My work at Suntel has been rewarding, but I think it is time to move on, as we discussed last week. With Suntel, I have been able to really develop skills that would be useful to many other companies. Research we conducted identified key business drivers common to all businesses: they have trouble hiring and keeping good employees; they need to develop products that better meet their customer needs; they need to get new products to market quicker. My background in market development honed my skills in developing products and matching them with target segments very effectively. Our most recent line of demoflatchees achieved a 17% share in only six months! That kind of market presence should be valuable to many companies. I have attached a few resumes for your reference and distribution to any key contacts you may know. Thanks in advance for all your help. I owe you a nice Texas steak dinner for this one! I don't know if you will remember, but we met when your firm was doing some auditing work for Texas Oil. I was performing some legal work, as I am an attorney specializing in environmental law. I was very impressed with you and your team, and have a small favor to ask. I have been with my firm for some time, and am interested in leaving in favor of a smaller firm. 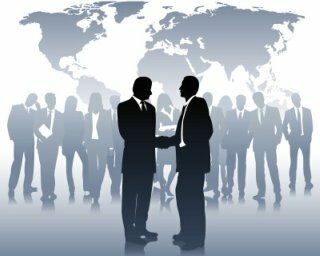 You seemed to know a lot about the industry as well as who's who in Dallas, and I'd like to ask your advice on the business climate here. I will call you next week to try to set something up, and would love to take you to lunch or dinner to talk a little shop. I'd really appreciate any time you can offer. Thanks, and I look forward to talking with you next week! The source of this Networking Cover Letter is from 101 BEST COVER LETTERS written by Jay A.Block and Michael Betrus.These information offer you the best cover letter example from the top experts - the people who write resumes cover letters every day for a living. Click here for more detail information.